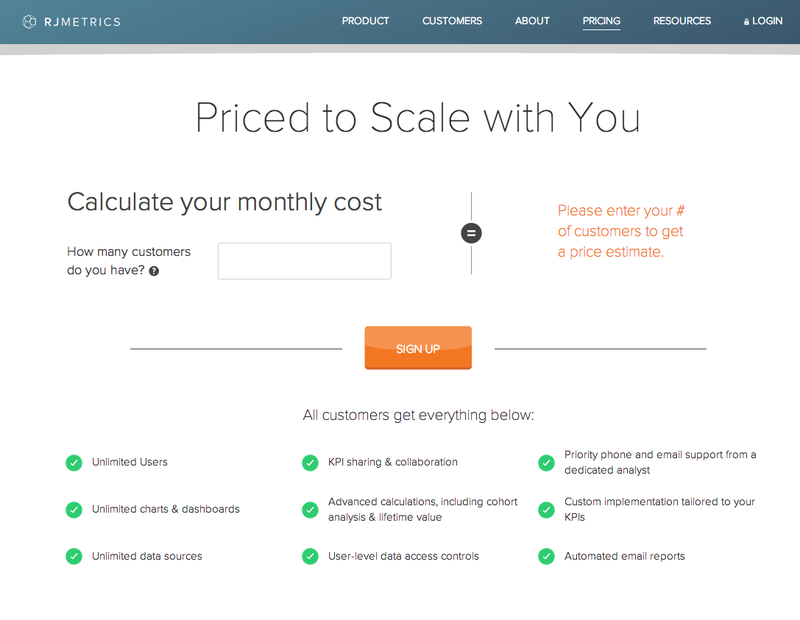 Figuring out how to price your SaaS product is difficult. It relies on customer segmentation and profitability analysis, and then, when you’ve finally optimized your pricing strategy, clear, effective communication. That’s the part where we were stuck. As anyone who’s ever worked on a SaaS pricing page knows, it’s incredibly tricky to communicate value and differentiation effectively and succinctly. How can we give visitors the information they need without overwhelming them with options? How can we avoid “scaring away” our core demographic while still showing the full range of companies that we can help? 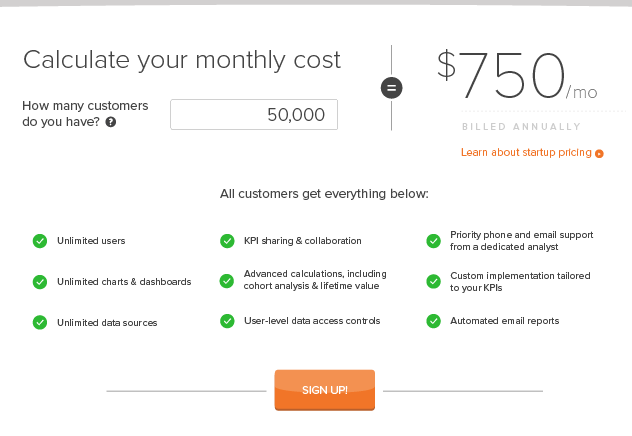 And, most importantly, how can we avoid showing up on the Saddest SaaS Pricing Pages of the Year? Fortunately, we found a solution that shot conversions up a whopping 310%. 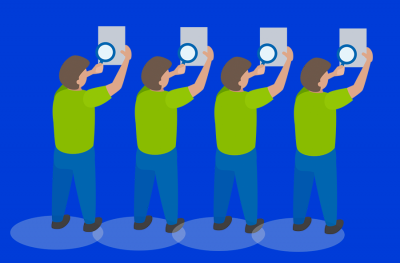 Ours is a case study in understanding your customers and finding good hypotheses to test. And the lessons learned could benefit any business trying to create a better-converting pricing page. We never want price to be the thing that makes a client pause before adding a new employee to RJMetrics or pulling a new data source into our system. Instead, our pricing is built around the number of customers a client has. That way, when our clients make money, we make money. It doesn’t matter if they connect 10 new data sources and everyone, including their grandmother, is regularly logging in to check out RJMetrics dashboards. If they’re not adding more customers, we never charge more. It was clear, but was it effective? While the page was doing a good job communicating our pricing strategy, it wasn’t doing much to show our tailored pricing. As a startup ourselves, we love helping small companies grow. We want data-driven startup leaders to know we want to work with them. But like most SaaS companies, we want big-ticket prospects to know that we can handle their data as well. That’s two additional layers of complexity that are just… well… two more layers of complexity. Our single message was being muddled by options. How could we communicate the singular focus of our pricing strategy and still get every prospect the information they needed? That was our challenge. To figure out how to solve these problems, we did something truly innovative—we checked out what the other guys were doing. 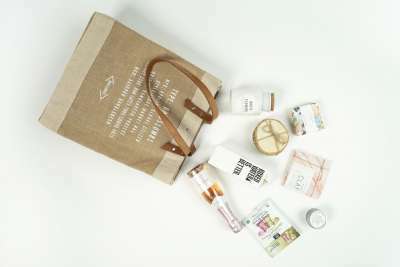 In particular, we liked MailChimp’s approach. The input field is a fast way to get customers the pricing relevant to them without overwhelming them with all your pricing options. And since we had recently released our customer lifetime value calculator, we knew our visitors like this kind of interactive tool. 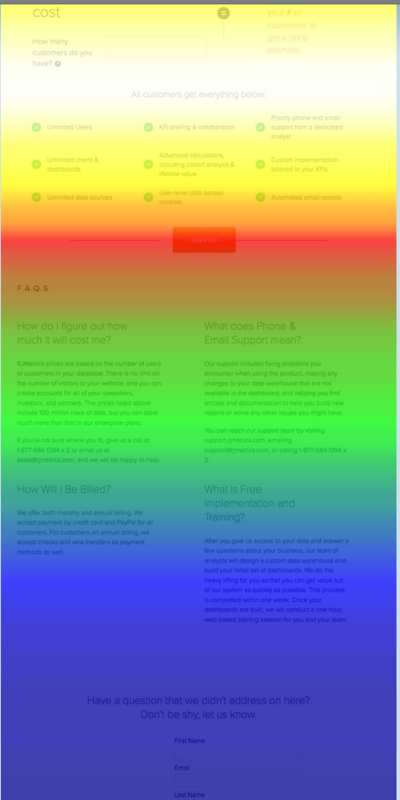 We decided to try a modification of MailChimp’s approach for our pricing page. Our new design focused exclusively on the input field. As we suspected, people loved the calculator. What we didn’t expect was the negative impact this would have on the Sign Up button. While 62.5% of visitors were interacting with the input field, only 1.2% of them were clicking Sign Up. 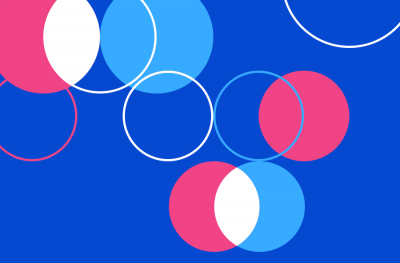 Crazy Egg shows you how people interact with your Web page. With Crazy Egg’s scroll map, whiter areas show where users are spending most of their time, while darker areas indicate where users are scrolling by a bit faster. As you can see, visitors were getting stuck at the top of the page and weren’t engaging with elements lower on the page (like the Sign Up button). Our CrazyEgg dot map confirmed this. 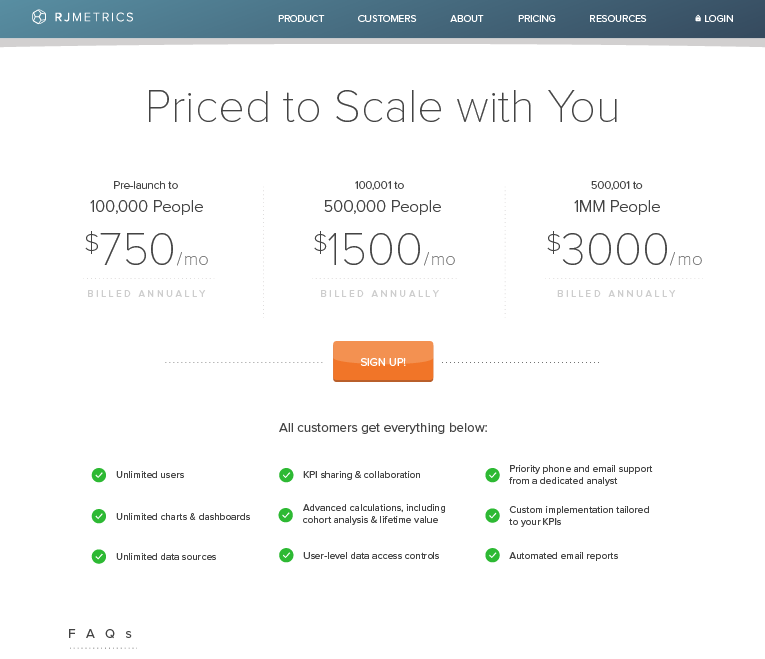 The new pricing page was doing a great job at getting users to engage with the input fields. We just needed them to click Sign Up. Our next move was almost as cutting edge as the initial research phase: We moved the Sign Up button above the fold. Design is riddled with assumptions. Getting good at optimizing a website is largely an exercise in getting good at spotting your own assumptions. What will I get for this price? We then arranged our page according to that. Turns out our assumptions, as they so often are, were dead wrong. This version crushed it. It beat the original by 310%. We were thrilled. Our sales team was thrilled as well. As much as we would have liked to declare the test a smashing success and all go out for a beer to celebrate, the work wasn’t quite done yet. If you go back and look at our original page you’ll see that, in the original version, the button also fell below the fold. We needed to make sure that our success was, in fact, coming from the input field, not the new button placement. The results came back. Users preferred the input field over the three column layout. We had a winning design! Now comes the standard disclaimer on all website tests—what worked for us won’t necessarily work for you. And just because this works today, doesn’t mean it will work as well tomorrow. Optimizing a website isn’t a once and done thing, it’s a constant. But like diet and exercise, when you do it every day, every week, every month you end up with a website that can run a marathon. We think you can learn something from our test results. More valuable, though, is the process we went through to get those results. Get good at making hypotheses. Then put them to the test. In the end, you’ll know what works for your users and enjoy your own crushing increases in your conversion rate. Janessa Lantz is a data-driven marketer at RJMetrics. 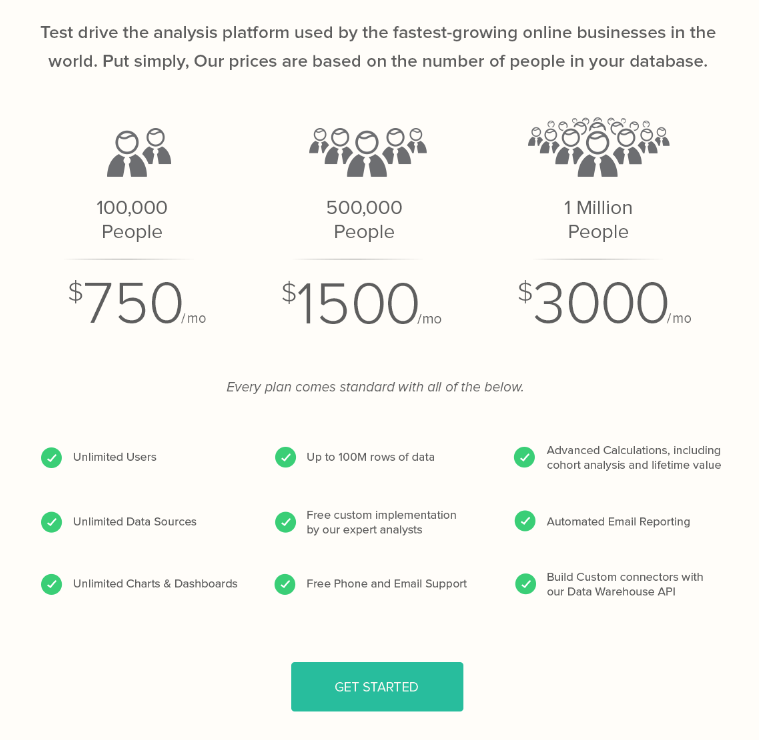 RJMetrics helps online businesses make smarter decisions with their data. You can find Janessa on Twitter @janessalantz.